As the first Scribe born to the non-magical people of northern Revel, Emeryss was hauled off to the Great Library to spend the rest of her life translating ether into grimoires for her nation’s Casters. When her plan for freedom—to become a Caster—seems hopeless, Emeryss partners with a thieving illusionist for the perfect getaway: an airship, a full crew, and the promise to train Emeryss into the Caster she was meant to be. But the escape is not easy, and her assigned guard, Grier, isn’t ready to let her walk out of the library or out of his life. As Emeryss fights for freedom, the war between the Casters of Revel and the devastating ether-tech of the enemy nation of Ingini draws near. 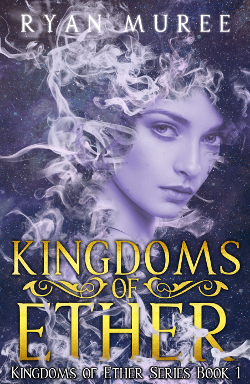 With the fate of her country at the brink of ruin, Emeryss must either save her nation by keeping her old destiny or pay the price for a new one.